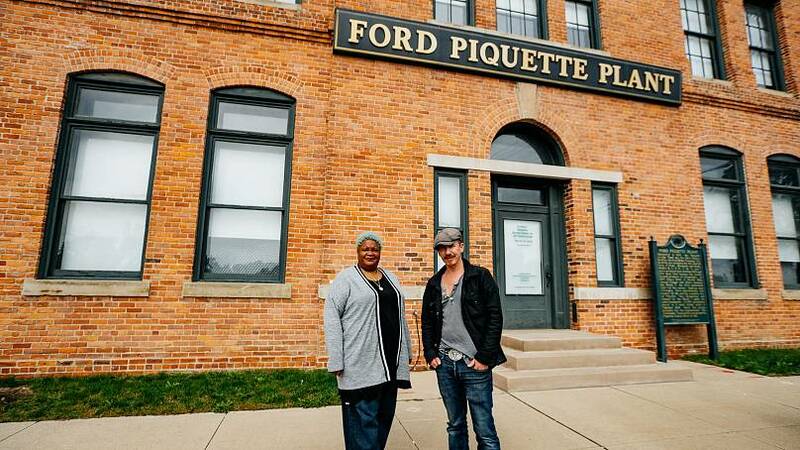 Detroit, Michigan, was the next stop on Northern-Irish singer-songwriter Foy Vance's musical tour of the US. Best known as the home of the automobile and of Motown, he discovered there was far more to this vibrant city "of resourceful people." Detroit is where Motown (named after Detroit's automobiles, as an abbreviation of "Motor Town") was born. 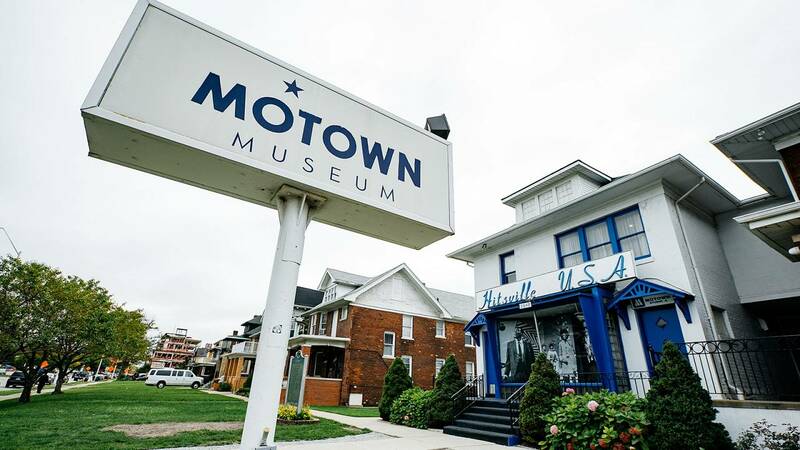 The Motown record label was the creation of local Berry Gordy III and it went on to be one of the 20th century’s biggest success stories as the home of Marvin Gaye, Stevie Wonder, Diana Ross and Michael Jackson, amongst others. Yet as Foy's guide, Dame Wilburn, explained, there is much, much more to the Detroit music scene than Motown. It was in Detroit that George Gershwin collaborated with Jerome Remick; where blues singers, big bands and jazz artists such as Duke Ellington, Ella Fitzgerald and Count Basie were drawn to play in clubs like the legendary Baker's Keyboard Lounge and Cliff Bell's; and where artists as diverse as Madonna, Eminem and The White Stripes started off. And of course, it was in Detroit that the Reverend C. L. Franklin introduced his daughter, Aretha, to the stage. No trip to Detroit would be complete without a visit to the home of the iconic Ford Model T.
By 1950 the automobile turned Detroit into one of America's largest cities. It was the home to The Big Three - Ford, Chrysler and General Motors - which dominated the global car industry at the time. 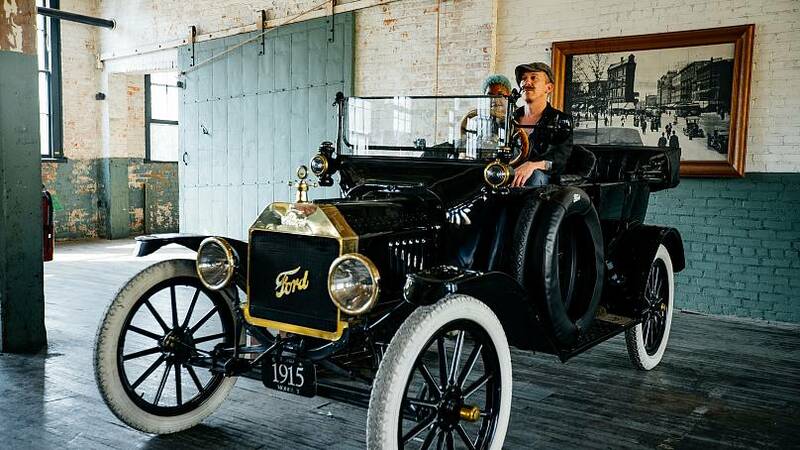 Detroit's Ford Piquette Avenue Plant, the birthplace of the Ford Model T car, is considered one of the most significant automotive heritage sites in the world. It's a place of pilgrimage for car enthusiasts with its vintage models and tours from passionate, knowledgeable guides. When Foy visited Detroit he discovered a community of people capable of making something special out of nothing. “They're incredibly resourceful", observed Foy. “They have a no nonsense approach to everything… if they can do it they will do it." One of the places Foy saw this was Wallace Detroit Guitars where all the instruments are made with reclaimed wood. Its founder Mark Wallace started the company in 2014 out of a determination to make something out of the material from dilapidated buildings, combining Detroit's love of music, with its flair for making objects. Foy was so blown away by the craftsmanship, he commissioned a guitar on the spot. 1. The real Detroit is perhaps most evident in the jazz clubs and speakeasies that are still dotted around the city. 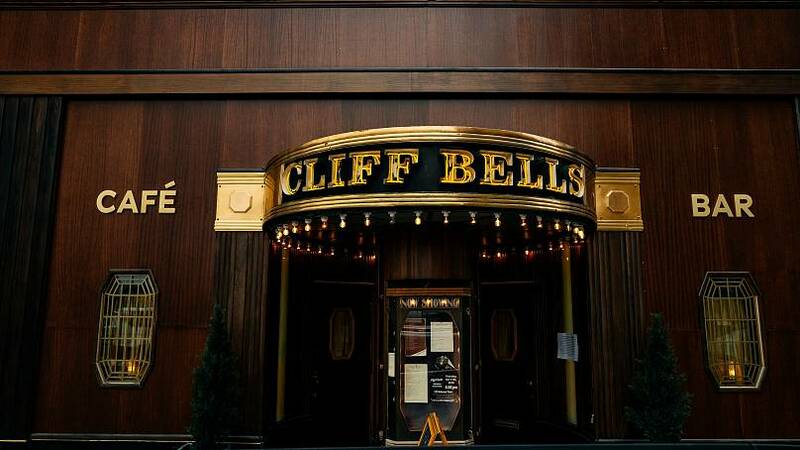 Foy had lunch at Cliff Bell's, which current co-owner Paul Howard has lovingly restored. 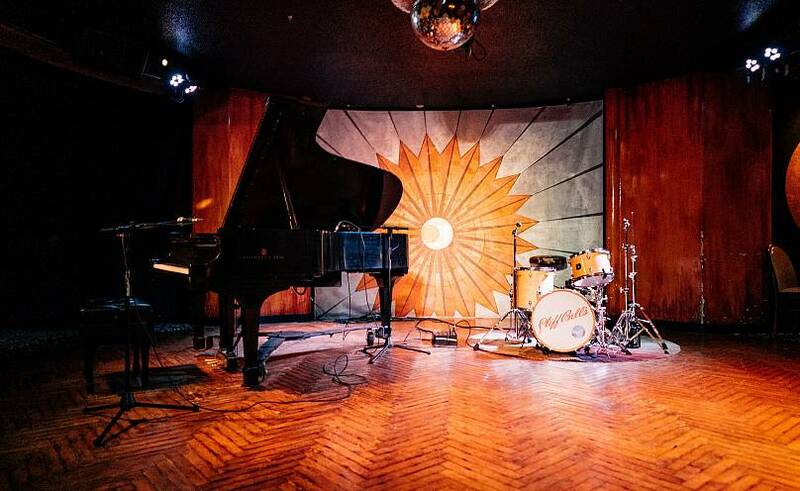 Alternatively, you could check out Baker's Keyboard Lounge, “the world's oldest jazz club”, opened by Chris and Fannie Baker in 1933. 2. The Ford Piquette Avenue Plant is the birthplace of the Model T, a car which is credited as the first affordable automobile, catapulting them into mass use. Today, it’s open as museum and historic site, an essential stop-off for every visitor to the city. 3. Take a trip to Comerica Park, home to the Detroit Tigers baseball team, with its museum of baseball history, Ferris wheel and huge water feature that can be choreographed to any music - it’s a quintessential American day out and a great place to sample a Coney Dog, the archetypal Detroit hot dog. 4. 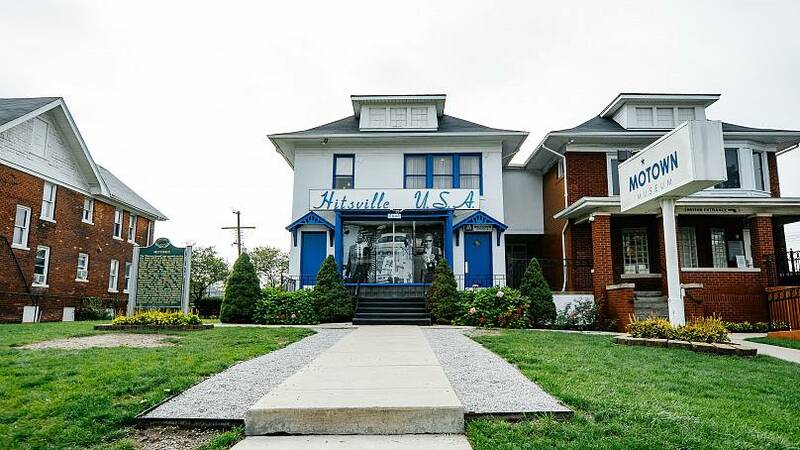 Hitsville U.S.A., home to the Motown Museum, is a veritable shrine to Berry Gordy and the style of music that he discovered and championed in Motor Town. It promises to allow its visitors to step back in time and immerse themselves in the world of Marvin Gaye and the Supremes. 5. Take a walk around Detroit to discover some of the city’s impressive art-deco architecture such as The Guardian Building or The Fisher Building. Many of the iconic structures have been lovingly preserved and restored in recent years. Foy was blown over by local jazz pianist Alexis Lombre on his visit. She joins a host of household names on our essential Detroit soundtrack. "A Blues in Tyne" by Foy's top pick, Alexis Lombre (2017). "Please Mr Postman" by the Marvelettes (1961), the first #1 hit to come out of Hitsville USA. Eminem wrote "Lose Yourself" whilst on the Detroit set of 8 Mile. "A Child is Born" by Thad Jones and the Mel Lewis Orchestra (1970) is one of the tunes by Detroit-area jazz artists subsequently to have become a jazz standard. Detroit-born The White Stripes, "Fell in Love with a Girl" (2001). Who could forget "Superstition" by Stevie Wonder (1972), one of the most famous products of the Motown stable? The first Detroit rap group to produce an urban summer anthem, Slum Village's "Tainted" (2002) won them the respect of Kanye West, no less. Aretha Franklin's "Respect" (1967) was recorded on Valentine's Day.